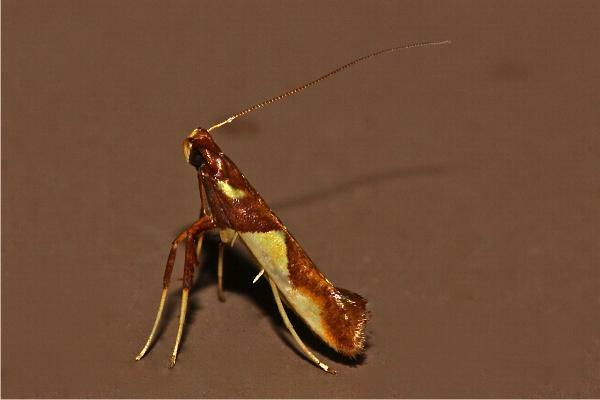 The adult moth of this species is brown, with two bright yellow triangles on the costa of each forewing. The moth also havs yellow legs, a yellow face, and a yellow mark at the base of each forewing. The hind wings are a uniform dark brown. Its wingspan is about 1 cm. The antennae are longer than the forewings. Series 1, Volume 5, Part 2 (1881), p. 141.